Pirates, and dinosaurs, and vampires, oh my! The world of Ixalan is calling. Will you brave the uncharted lands and find treasures beyond your wildest imaginations? Come on out to Win Condition Games and be the first to try out these amazing new cards. 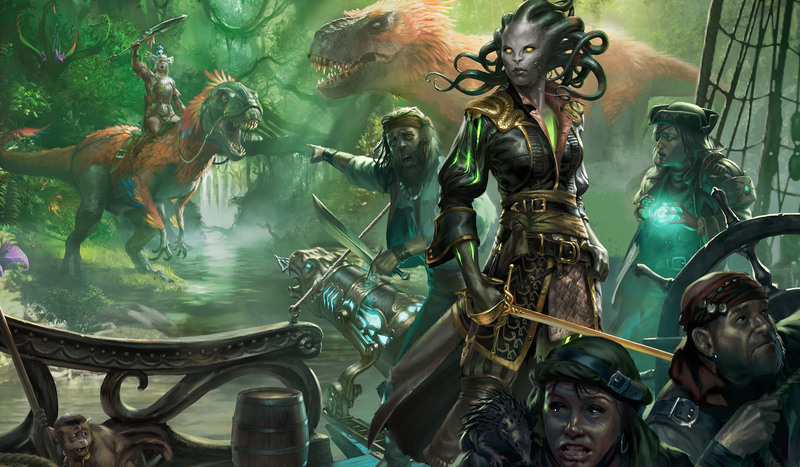 Play in all five Ixalan prerelease events, and your last one only costs $10! That’s right, Win Condition Games in Kennesaw is hosting a blow-out prerelease weekend. Come and join us for the most fun you can have playing Magic. We’re firing off at least 6 events from April 21-23, so there’s always fun to fit your schedule. At Win Condition, we reward you just for playing. Your first prerelease event only costs $25, but if you want to play more, we’ll knock $5 for each new event. That means if you play in all 5 events, you’ll only pay $10 for the last one. But wait, there’s more! For every event you join, you also get a raffle ticket for a free booster box of Ixalan! But that’s not all. If you play in any additional prerelease events, we’ll give you $5 bucks off every time.. That means your second event is only $20 – and you third is only $15. If you are brave enough, you can work all the way down to a $10 event! And of course, in every event, you get a new prerelease pack to build new decks.